We produced these Butterfly sanding discs in error. The material these discs are made from is a good quality, just not to the standards of our typical sanding discs. The price we are asking for these discs makes them a good value for you. This offering is only available in our Butterfly shape and in 120 grit. 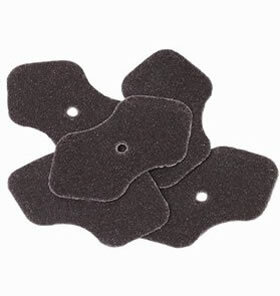 We are the only manufacturer of this popular shaped sanding disc. If you have never used this shape of disc, this price makes them worth a try.